Irene Radford's book Confessions of a Ballroom Diva is currently available from LibraryThing Early Reviewers. Irene Radford's book Trickster's Dance was available from LibraryThing Early Reviewers. Irene Radford's book Nevertheless, She Persisted was available from LibraryThing Early Reviewers. Irene Radford's book Committing Novel was available from LibraryThing Early Reviewers. Irene Radford's book Shadow Conspiracy III was available from LibraryThing Early Reviewers. Irene Radford's book Mourner was available from LibraryThing Early Reviewers. Irene Radford's book Enigma was available from LibraryThing Early Reviewers. Irene Radford's book Harmony was available from LibraryThing Early Reviewers. Irene Radford's book Speculative Journeys was available from LibraryThing Early Reviewers. Irene Radford's book Steampunk Voyages was available from LibraryThing Early Reviewers. Irene Radford's book Fantastical Ramblings was available from LibraryThing Early Reviewers. Irene Radford's book Magna Bloody Carta: A Turning Point in Democracy was available from LibraryThing Early Reviewers. Irene Radford's book Guardian of the Freedom was available from LibraryThing Early Reviewers. Irene Radford's book Guardian of the Promise was available from LibraryThing Early Reviewers. Irene Radford's book Guardian of the Vision was available from LibraryThing Early Reviewers. Irene Radford's book Beyond Grimm: Tales Newly Twisted was available from LibraryThing Early Reviewers. Irene Radford's book Guardian of the Balance was available from LibraryThing Early Reviewers. Irene Radford's book The Shadow Conspiracy II was available from LibraryThing Early Reviewers. Irene Radford's book Breaking Waves was available from LibraryThing Early Reviewers. Irene Radford's book Brewing Fine Fiction was available from LibraryThing Early Reviewers. 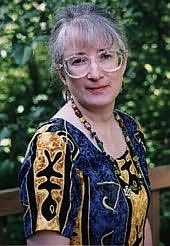 Irene Radford is currently considered a "single author." If one or more works are by a distinct, homonymous authors, go ahead and split the author. Irene Radford is composed of 6 names. You can examine and separate out names.